Good, Local Food Year Round! at the center of the Pavilion. The Double Bucks Program allows SNAP customers to receive double the amount of money they spend on tokens for purchases up to $10. the program and our partnership HERE. Thank you to everyone who donated to the Double Bucks program! We couldn't do it without you! Also, thanks to Duke Health for their generous support of the Double Bucks program! The money is used directly at the market to purchase food from farmers; that food is then donated those who are hungry in our community. Farmer Foodshare's mission is to connect our local farmers with those who need food! Please visit or volunteer at our Durham Farmers' Market Donation Station! Get a sticker on your card every time you make a donation of cash or food. Once your card is full, you can redeem it for a free item at one of Farmer Foodshare's local sponsors! This has been a sad week for our Durham community. Our hearts are with everyone impacted by the tragic accident and the first responders who diligently worked to ensure the safety of our community. Please join us in Durham's backyard on Saturday for comfort, conversation and time with your neighbors at Durham Central Park. In the meantime, check out this comprehensive list from Discover Durham regarding fundraising efforts for those impacted by the accident. As a reminder, we're operating on our Main Season Market hours of 8:00 am -noon. Vendors returned to their regular spots so if you have trouble finding your favorite vendor, swing by the Info Table and we're happy to tell you where they're located. Don't forget that the Wednesday Market kicks off this week so join us to re-stock on your mid-week groceries every Wednesday from 3:00-6:00 pm. Hopefully you've seen the Compost Now bins at the market. We're happy to announce that waste recovery will be provided by Gather Green and Compost Now . If you enjoy a tasty treat at the market, be sure to compost any items you can in these containers. Let's continue making progress toward becoming a zero-waste market! Celebrate Earth Day and join our efforts to become a zero-waste market. Pick-up a free reusable canvas tote bag on the market lawn to use all season. 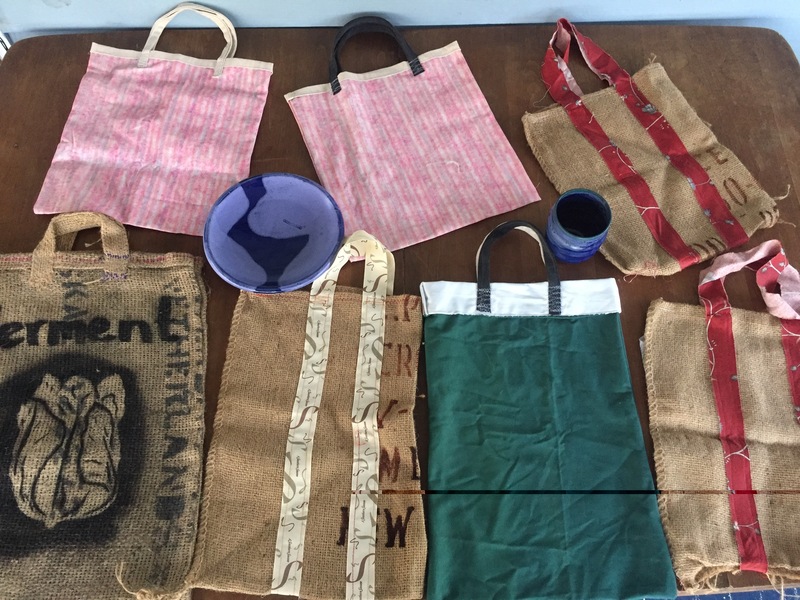 If you have extra canvas totes at home, please bring those to share with others in our community. Mark your calendars for CFSA's Annual Piedmont Farm Tour. You can purchase your buttons and pick up a map at the Info Table. VEGETABLES: Asparagus, Beets, Carrots, Collards, Dried & Fresh Herbs and Spices, Green Garlic, Kale, Lettuce, Mushrooms, Radishes, Sweet Potatoes, Swiss Chard, and more! SPECIALTY ITEMS: Pasta, Baked Goods including Pies, Breads, Cookies, Pastries, Gluten-Free Baked Goods, Beer, Meade, Jams, Jellies, Fermented Foods, and more! CRAFTS: Photographs, Body Butters, Lotions, and much more! Produce availability depends on weather conditions. Salty Catch Seafood Company will be driving from the N.C. Coast to bring the market community fresh caught NC Seafood. Stop by and see Steven and Renee and chat with Steven, a commercial fisherman. Know that when you buy Salty Catch Seafood you're getting the freshest N.C. seafood available. Salty Catch believes in offering a superior product along with exceptional customer service. We look forward to seeing you! FROM THE SEA TO YOUR TABLE...DON'T MISS OUT! ASPARAGUS has started to break dormancy on the farm this week with the warmer weather and good rains... so Mario will have you fresh asparagus this week in a limited supply. EASTER is right around the corner and we are taking orders for our meaty, grass-fed LEG of LAMB (and Chevon.. young goat). Don't want a whole or half of leg.. then we have tender thick LOIN CHOPS.. perfect for the grill. Dry-aged ANGUS BEEF SIRLOIN STEAKS... also would be great for the holiday weekend to grill out. We have a great supply of our pastured, naturally raised PORK.. Bacon, variety of sausages, Pork chops, roasts, ribs, Ground Pork, and more. Lots of LAMB and CHEVON meat available this weekend.. from stew meat to ground to chops. DRY-AGED ANGUS BEEF... Ground, all-beef HOTDOGS, Steaks, Stew beef, DOG Bones, calves liver, heart, Shanks, ROASTS (Sirloin Tip, London Broil), and more available on Saturday. USDA certified ORGANIC Veggies....our wonderful greens out of the greenhouse and field (leaf lettuce, arugula, swiss chard, kale, Brussels sprouts), BEETS, and more. Thank you for your support of our family farm. A family note: my late brother, Quinton Leonard, who first picked up a basketball at the age of 16, will be inducted this weekend into NCSU's "Sports Hall of Fame." I am so proud of my hard-working farm boy brother who was focused in reaching his goals at a young age. Hopefully, he would be proud the family's Century farm is continuing to be productive and feed so many people in the Durham area with healthy food! Visit the farm on April 27 & 28 as part of CFSA's Farm Tour in the afternoons.... lots of history and changes in production practices. Stop by our booth for a tour brochure with details. The farm is coming alive with green! It's time to plant, and we will have summer squash, lots of tomatoes, lettuce and herb starts ready for your gardens. Come by and grab a bag of our new Braising Mix of baby kale and mustard greens. Not too spicy, this delicious mix is great for breakfast, brunch or lunch simply topped with a couple fried eggs, tossed into a bowl of ramen, or quickly braised with a splash of our zesty Fire Tonic as a side. We will also have salad mix, pea shoots, arugula, head lettuce, radishes, and super tender spinach. Our farm grown and produced herbal teas or herb infused vinegars make great presents or additions to you own kitchen. On April 13, Durham will kick off its Sesquicentennial, a 150th birthday that will last for months. When you go to the celebration at American Tobacco, what could be better than to wear a colorful Durham-themed T-shirt. Don't have one, you say? In anticipation of that need, we have Durham shirts in a variety of styles and colors. Trendy enough to wear to a Food Truck Rodeo in Central Park, hip enough to wear to a night out at DPAC or to a Bulls game. We've also got Durham-themed kids clothes. Because you're never too young to be cool. Like our Facebook page and while you're there, find a 10% off coupon to use with your next Terra Clotha purchase. I believe we're all feeling that spring-like feeling? Next weekend is the Easter holiday. Whether egg dying or egg hunts are planned, everyone has a some what tradition, right? Based on the calls we've been getting, LAMB on the menu is definitely a favorite. 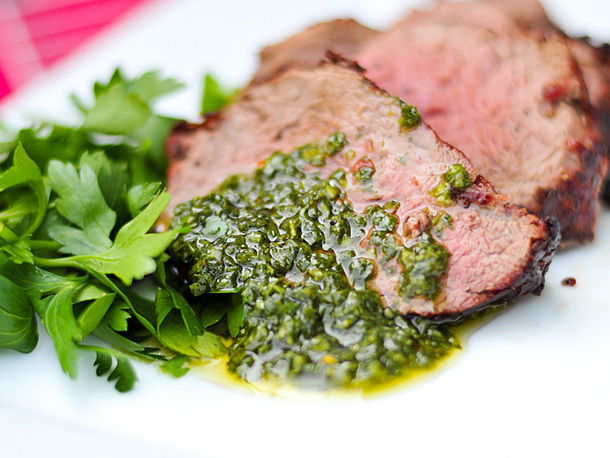 How about roasted with chimichurri sauce? We'll have many cuts available. Our pasture raised, organically fed, heritage breed of sheep will make you proud, It's that good AND our sheep are raised with the highest of standards and compassion. Don't forget to ask if you have any questions about recipes or techniques. We also love to hear your recipes and techniques. We will be bringing Sugar Cookies, Oatmeal raisin cookies, peanut butter cookies, 7 layer cookies, Chocolate Chip cookies, Oat wheat bread, Sourdough bread, Blueberry bread, Amish Friendship bread, Cinnamon rolls, Gluten free Blueberry bread, Gluten free Morning Glory muffin, Gluten free Brownie, Pineapple Apricot bread, Lemon Poppy Seed Friendship Bread, Cheese Straws, Lemonade, Coffee, Banana Nut bread, Cream Cheese Danish, Cranberry Orange scone, Chocolate Cherry scone and Assorted Cookies. We look forward to seeing everyone at the market! (spinach, lemon, feta, green onion). Or pick up one of our take-and-bake lasagnas for an easy and delicious meal! Click to see current product availability! See Specials Below! Celebrate the Season with EGGAPALOOZA! Pre-Order Holiday Lamb for Easter and Passover! Leg and Shoulder Roasts as well as Whole Loin Racks! April Specials - Pre-order Only! BOGO - Buy one package chicken backs, get one of equal or lesser value free! 18 pounds each - $5 per pound. Order ahead to increase the chances of getting the meats, poultry, and produce you want ( click here). 10% discount when order total is over $100 (doesn't include sale items)! Pre-order all standard cuts of beef, chicken, and pork using this simple order web link! We have pork chops this Saturday! Our chops are well known at Lantern Restaurant and we have a following for home cooks at the market. Pork is from our whey fed pigs, the meat is tender and flavorful, and the chops come 2 per pack. Try some out while they're available! We make several distinctive cheeses for you to choose from. This week we have Carolina Moon, Dairyland Farmers, a little Hickory Grove, Calvander, and Danziger. Calvander is based on an Asiago so that it has a piquant flavor to balance the rich flavor of our Jersey cows' milk. We have been making great salads at home with greens, arugula or escarole, radishes, green garlic, purple cabbage, and carrots, and grated Calvander. Experiment with flavors you like or add croutons and white beans for a full meal. The Calvander stands up to these robust flavors since it is a more aged cheese now 10 months old. Other cheeses range from fresh to creamy to slightly stinky. Come taste or ask us for suggestions on how to use them. Spare Ribs are at a special price! $2.00 off per pack. Whether you grill or roast, marinate or use a dry rub, pick some up this weekend. All our pork is from the whey fed pigs at our farm. Sausages include the hams for more meatiness and we have Mild and Hot Breakfast, Sage and Maple Breakfast links, Smoked Andouille, Mild and Hot Italian, Mexican Chorizo, and Bratwurst. Ground Pork and Ground Beef also available with ground beef. Jersey beef gets high ratings for tenderness and flavor. Pick some up for lasagna, tacos, or a great cheeseburger with our Hickory Grove. We have a cooking demo at the Southern Season Cooking School this Sunday 3-6; see more online. The Piedmont Farm Tour happens on April 28 and 29 from 12-6. This is one of the few times we are open to the public, so come see our farm and learn a little about cheesemaking and about our cows, pigs, and pastures. We'll have draft horses pulling wagons and an ox team that was born on our farm. Plan a picnic and bring a cooler. Tickets are available online. With calves being born, more milk, and busy markets we know spring is here! See you soon! Honeygirl Meadery is a small urban meadery in downtown Durham, making an ancient craft beverage for modern days. Mead is essentially wine made from honey, with many different styles that include additions of fruits, flowers and herbs. Our meads are hand-crafted libations made in small batches, using both local and global true source honey, local fruits, herbs and flowers. They are naturally gluten free. Our downtown Durham Tasting Room is open on Fridays from 3-7 pm, Saturdays from 1-6 pm and Sundays from 1-5 pm. This week we will be sampling: our Hibiscus Lemonthyme Mead, floral, earthy and herbal dry-style mead with NC wildflower honey, dried hibiscus petals and fresh lemonthyme. We will also be sampling our Honey Chai Mead, like a warm mug of chai tea, our Honey Chai Mead is a loaded infusion of exotic spices, mingled with honey. Smooth, semi- sweet, and especially comforting in chilly months. And we will also be sampling our Strawbanero Mead, a lightly sweet mead with fresh strawberries and a spicy kick. Fermented with NC strawberries, wildflower honey and infused with habanero peppers to bring a little heat. We will also have bottles available of our Mango Habanero Mead, a lightly sweet mead made with mangos and habanero peppers; and our Apple Cyser Mead , a dry-style cyser with crisp, tart apple highlights. This week at market Haw River Mushrooms will have blue oysters, golden oysters, pink oysters, cinnamon caps, and lion's mane. We will also be sampling and selling our new delicious spicy teriyaki oyster mushroom jerky. To special order inoculated mushroom logs or sawdust spawn to be picked up at the market, simply e-mail us . Our next log inoculation workshop will be held this Saturday April 13 from 10am-12:30pm and 2pm-4:30pm. Visit our website to sign up and for more information on our upcoming classes. Harland's Creek Farm has a CSA that delivers at both the Wednesday and Saturday DFM. We provide large and small pre-packed boxes of produce. You can read about it and enroll online. As of the opening of the first main season Saturday Durham Farmers' Market, Harland's Creek Farm will be using plastic-free packaging, all of which can be recycled or composted at HOME. For bunched vegetables, paper twist-ties that can be composted at home compost will replace rubber bands. We will use trimmed paper bags for tender greens, such as head lettuce, escarole etc. Items, such as, okra, green beans, eggplant, potatoes, squash, etc. will be displayed in open containers at market and sent home in paper bags. Small leafed greens, such as spinach, arugula, salad mix, baby greens, will be packed in glassine bags. Glassine is a polished paper and is translucent. Read some details of the research Judy conducted online. Products available this week: Arugula, escarole, red head-lettuce, spinach, baby collards, Siberian Kale, and salad turnips. We will also have green garlic, cilantro, mint, and parsley. There will be a few flower bunches and a recipe for herbed cheese. Certified Organic Eggs from Pasture Raised Hens: $7.00/dozen. Mixed flock: Pearl White Leghorns, Mixed Heavy Browns, and New Hampshire Reds. The Spicy Hermit crafts traditional and seasonal kimchi using fresh produce from local farms (including those at Durham Farmers Market!) and time-honored fermentation methods. What is kimchi? Simply put, kimchi is a delicious product resulting from seemingly magical alchemy of vegetables and spices. All kimchi from The Spicy Hermit is raw, gluten-free, and vegan, and manufactured at each produce's seasonal peak. We'll have green cabbage, napa cabbage, sweet onion, and perhaps turnip. Use fermented foods to help you digest as well as add depth of flavor to dishes, such as dips, sauces, or even soups. Thanks so much to everyone who came out last week to support us for our very first Durham Farmers' Market! We'll be back this weekend with a variety of sweet and savory croissants, laminated pastries, savory pies, muffins, scones, and a few vegan and gluten-free baked goods. Special at market this week are our rugelach with bing cherry bay lime preserves, and we're brining more strawberry galettes (made with a bit of pomegranate molasses). Hurtgen Meadows' naturally grown PESTICIDE FREE strawberries will be available at the market this weekend in limited quantities. Come early! Now is the time to plant! This week we'll be bringing an assortment of plants and herbs for your home gardens including the first of our tomato plants, basil, chard, cilantro, dill, lavender, oregano, curled and Italian parsley, peppermint, sage, spearmint, stevia, sweet marjoram, thyme and yarrow. We'll also have our popular porch pots to bring a touch of color to your front door. We will be bringing spring onions, kale, collards, arugula, lettuce, green garlic, chard, celery, leeks, spinach and sweet potatoes. Pick up some fresh eggs this week from our free-ranging chickens. We will have a selection of hand-made cutting boards (maple and Brazilian cherry) available this week. Our award winning jams and jellies, which are made in small batches using local ingredients, will be available. You will find apple butter and apple jelly, peach, peach mango, pear, strawberry, kiwi, sweet onion and red pepper. Our family has made jams for multiple generations and we are happy to share with our customers. All of Hurtgen Meadows produce, plants, fruits and flowers are naturally grown using sustainable practices - no synthetic pesticides, herbicides, or fertilizers are ever used on our farm. We'll see you at the market! Come see us for hand rolled pastries, seasonal treats, large pies, cookies, and hearth baked breads. You can always e-mail us your special order or give us a call at 828-400-4826. We look forward to baking for you! Botanist & Barrel crafts a variety of ciders, sours, and dry fruit wines. Using techniques from wine-making, brewing, and mixology they are constantly blurring the lines. They are Orange County's first winery and cidery, situated just north of Hillsborough, on Cedar Grove Blueberry Farm. They are also farmers raising dry farmed, no-spray, organic blueberries, for the best estate grown fruit on earth. Founded in 2017 by brother and sister team and Orange County natives, Lyndon and Kether Smith focus on light-handed winemaking using old world methods with modern sensibilities. They lean towards whole fruit fermentation and make natural beverages with no additives or forced carbonation. They ferment to zero residual sugar and the ABV ranges from 7% to 15.5%. The ciders and wines are raw, wild, unfined, unfiltered, unpasteurized and you will find both still and sparkling ciders. They age in everything from tequila barrels, to sea salt bourbon barrels, to rum, to sauternes, to tawny port to bourbon maple syrup barrels. Botanist & Barrel is hyper-local, sourcing ingredients whenever possible from within 200 miles of our farmhouse winery. We will bring spinach, kale, mustard greens and turnips as well as fresh herbs. You can choose from coolers full of our USDA inspected Angus Beef and homemade soups. New this week is Sweet Potato, Black Bean and Kale Soup. Don't forget to pick up some cayenne peppers, flakes or powder. W e will be at market with Greenhouse Tomatoes, Sweet Potatoes, Green Tomatoes, Aloe plants and Herbs. Amy is back this Saturday! Come check out an assortment of jams including Strawberry and Blackberry. Pepper jellies, Hot and Regular, with Hot Chow Chows also. Pickled Okra and Pickled Beets. Beautiful succulents, Rosebud Impatiens, and Yellow Begonias! Homemade trail mix also! Thanks for buying local! For orders call 919-548-0977. Elodie Farms is a small goat dairy located in Rougemont, NC, a mere 30 minutes away from downtown Durham. We raise free-range goats and use their milk to make fresh cheeses and the whey leftover is used to make crunchy crackers that pair perfectly with our cheeses. We also make cajeta (spreadable goat milk caramel), blackberry goat cheese mousse, and goat cheesecake. We open our farm to the public during our monthly farm dinners, farm tours, birthday parties and other private events. Visit our website for more information or send an e-mail to sandra@elodiefarms.com. Follow us on Instagram and Like us on Facebook to see all the silly things our goats do on a daily basis. Soul Cocina is a combination of eco-friendly philosophy and cutting-edge, dynamic approach to plant-based cuisine. We draw inspiration from Latin-American traditions and the availability of locally grown produce to create imaginative concepts. We offer delicious tamales made the artisan way: with love, care and attention to detail. To ensure we respect tradition, we source wholesome ingredients before steaming them in banana leaves, creating a flavorsome and aromatic product. We pride ourselves on taste and quality, and it won't go unnoticed. Every bite you take will give you a taste of the rich Colombian heritage our tamales are built on. We will also have soups and pasteles de yuca: delicious roasted yuca pockets filled with red lentils, brown rice and spinach. A handheld food very similar to empanadas, only gluten-free and made with wholesome ingredients! Take home our ready to eat tamales and pasteles de de yuca or come hungry to the market because we also offer them warm to eat while you shop! My name is Gabriela Kavanaugh and I am owner and roaster for Caballo Rojo Coffee, roasting locally here in Durham. My grandfather was a leading coffee roaster in Venezuela and I wanted to continue this family tradition in my local community. My goal is to create moments involving coffee that connect the international community, that provides us with coffee, with our our local community. We are excited to be able to foster this vision by being at the Durham Farmers Market, providing you with cups of brewed coffee and bags of whole bean coffee. Aged: Crottin, Blue Streak, and Silk Hope. Gelato: Chocolate, Nutmeg-Vanilla, Ginger, Mango, and Match. Fudge: Dark Chocolate, Cherry-Pecan, Coconut, and Walnut. *Join us in the Inn/B&B for one of our 3 or 4 course Third Sunday Dinnersthis quarter. * Visit Zoila in our vendor spot for delicious samples and full Third Sunday Dinner menus. Forgot your shopping bags? Buying more delicious produce than you'd planned because it all looks so good? I have you covered! Introducing NEW, unique SHOPPING BAGS, no two the same, all made from bits of this and that found in my fabric stash or batik dyed new bags or whatnot. Look for my expanding offerings among the POTTERY - original note cards, earrings, pins, pendants, Batik dyed T's and Onesies, Child sized collapsible sunhats and more. The market is located at 501 Foster Street in the Pavilion at Durham Central Park. Parking can be found on the street around the market, in the Ballpark Parking Lot on Corporation Street and in the Measurement Inc. lot, 423 Morris Street (look for the Durham Farmers' Market parking sign). There is a path at the bottom of that parking lot that leads you to the market. There are also public parking lots along Foster Street and on Morgan Street near the Carolina Theatre. Handicap parking is available on Foster Street, right next to the south entrance of the pavilion. Please note that the Durham Farmers' Market does not allow dogs or other pets in the market area during Market hours. Service animals are exempt from this rule. Leashed pets are welcome elsewhere throughout Durham Central Park.